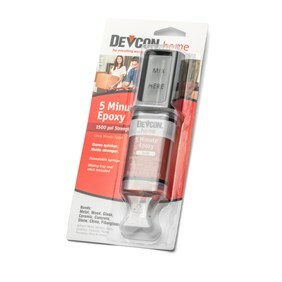 Devcon 5 minute epoxy is Kernowcraft's most recommended and best selling glue for making jewellery and gluing gemstones into settings. It is perfect for stone setting as it dries clear and to a high strength bond. After many years of making jewellery and experimenting with other glues on the market we believe it to be the most reliable and easy to use glue to use for your jewellery designs. On this page we go show you how to mix Devcon (as it comes in two parts) as well as give our best tips in ensuring your use of the glue is successful. We also have a few tips for how to remove any excess or unwanted glue. Before mixing your glue check that the surfaces to be bonded are clean and dry. 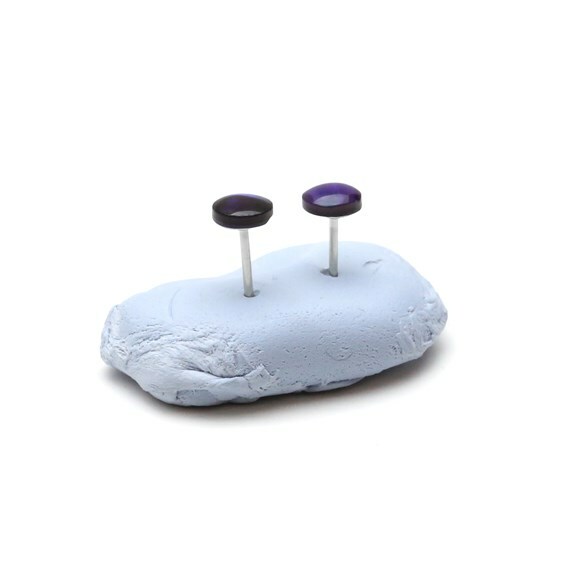 For best results roughen one or both of the surfaces with something like a small pin - this creates texture on the surface that allows the glue to form a better hold. Make sure any dust from sanding or scratching is washed away before applying. Squeeze an equal sized amount of glue from the syringe onto a disposable surface (the plastic packaging has a neat little pot for you to mix your glue in). The duo syringe means you can't really go wrong as it will dispense equal amounts for you! Only use small amounts at a time, as the glue dries very quickly. We find that something like a matchstick, a cocktail stick or a scrap piece of wire is perfect for mixing and applying the glue. Once mixed apply a small amount to the area you wish to glue and join the two components. Again, you will need to be fairly quick as the glue sets quickly. Leave your design somewhere suitable to dry. We have found that applying a little pressure to the glued joint when drying helps with extra security and a close fit. Make sure all traces of dirt, oil and grease etc are removed before applying the glue. Roughen the area to be glued by sanding or filing if possible - this will give the glue a stronger hold. Working time: sets in 5 minutes, can be handled in 15 minutes, full bond strength in 1 hour. Check the room temperature you are working in! Colder conditions can make the glue stringy and messy to work with, whereas warm conditions will allow the glue to remain more liquid in the working time. 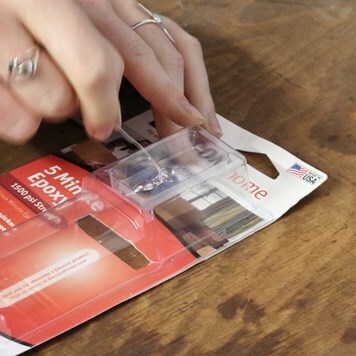 Use a pin to help apply glue into holes on half drilled beads or into tight spaces. It will be easier to leave the excess in a blob as this will lift away more easily than if you wipe it away whilst the glue is wet - this will leave a thin layer that is harder to remove carefully. Dry (or semi dry, non tacky) glue can be removed with a sharp blade, though be very careful not to scratch or damage the stone. Excess glue can also be removed with acetone or nail varnish remover (note: You may want to test on a hidden area first. This is usually fine on hard gems like agate, though not suitable for pearls or other soft or absorbent stones like turquoise). It is possible to remove a gemstone from a setting when it has been glued with Devcon, by soaking the setting in hot water, as this will soften the glue. However this is not guaranteed to work. 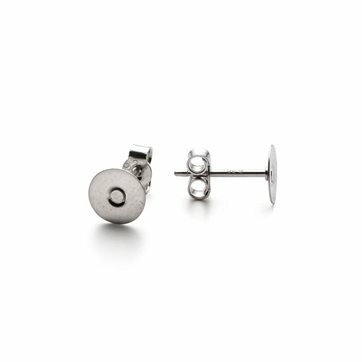 Also, bear this in mind when wearing your setting - if it's a ring, you may want to remove it before washing your hands/washing up! 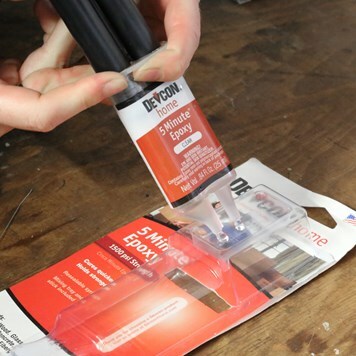 To view Devcon 5 Minute Epoxy Glue click here.